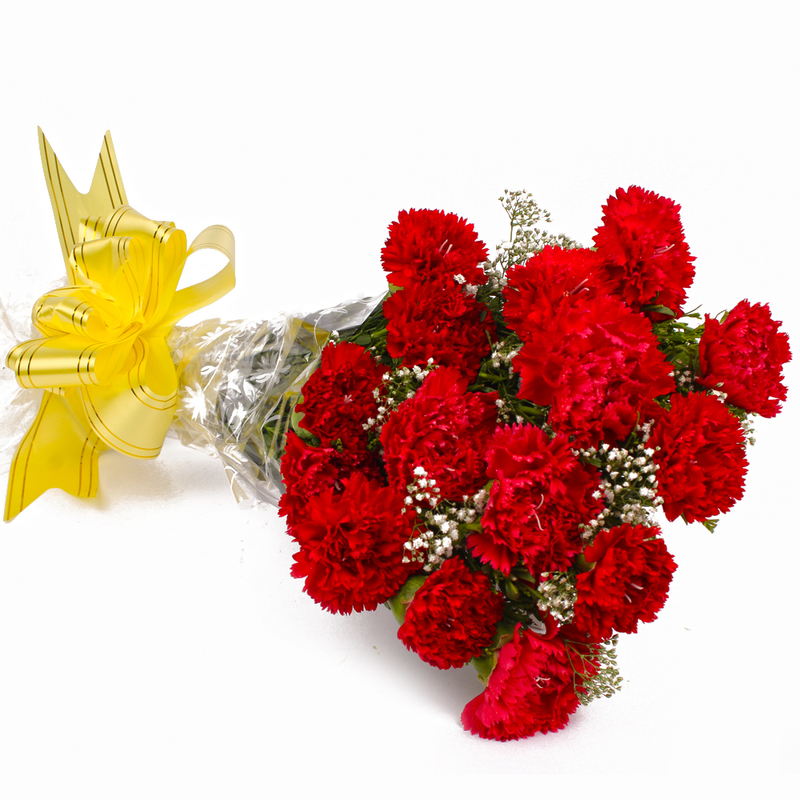 Product Consist : 15 Red Color Carnations with green fillers in cellophane Wrapping with Ribbon Bow on it. 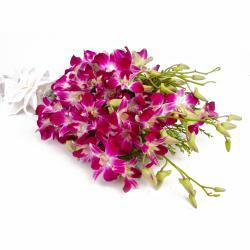 This bunch promises to be a wonderful gift for a variety of occasions. 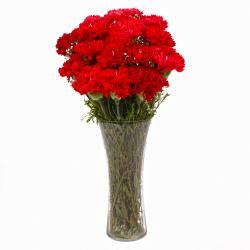 This bunch contains fifteen stem red carnations that look really fresh and soothing to say the least. 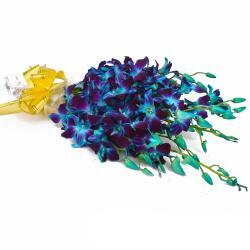 These flowers are also neatly wrapped in cellophane paper for that premium look and feel. 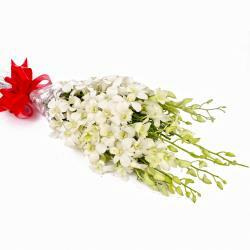 You can gift these beautiful flowers on occasion like Birthday, Anniversary, Just Because, Navratri, Children Day Product contains : Fifteen Red Color Carnations with green fillers in cellophane Wrapping with Ribbon Bow on it.